"The redoubtable female warrior of Kurdistan." Asenath married a cousin named Jacob Ben Abraham. Her father secured her dedication to only religious work in her marriage paper work so she is not distracted from religious studies for domestic house wife duties. She had two children with her husband Jacob, a son and a daughter. After her husband’s death, Asenath headed the Yeshiva in Mosul, teaching Torah in Kurdistan until her son became of age to head the Yeshiva. 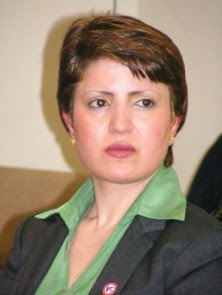 Modern scholars consider her as the first Female Rabbi in Judaism for her role as the head of the Yeshiva in Southern Kurdistan. Asenath died in 1670 CE in the Historic town of Amedi in Southern Kurdistan. Her grave was a pilgrimage site for the Jews until modern centuries. 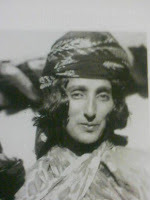 Today, Asenath Barzani is considered not only the first Female Rabbi in Judaism; her story marks the oldest record of the role of Kurdish Women in history. Her story is kept alive in the Israel and the Jewish journals. Asenath Barzani proves the role of Kurdish women in society centuries ago. 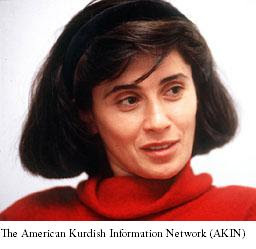 Her story as a women philosopher will be remembered by Kurdish women of this century and the future generation.